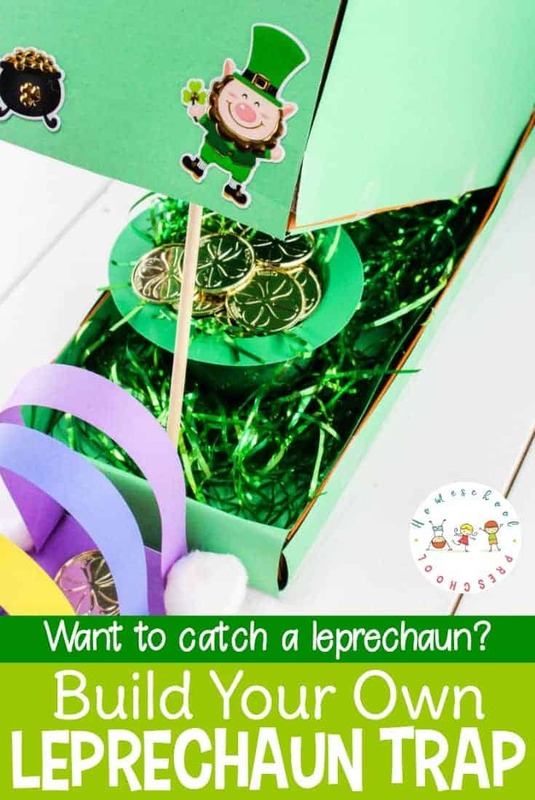 Your kids will have a blast trying to catch a leprechaun this St. Patrick’s Day with a leprechaun trap they can build themselves! 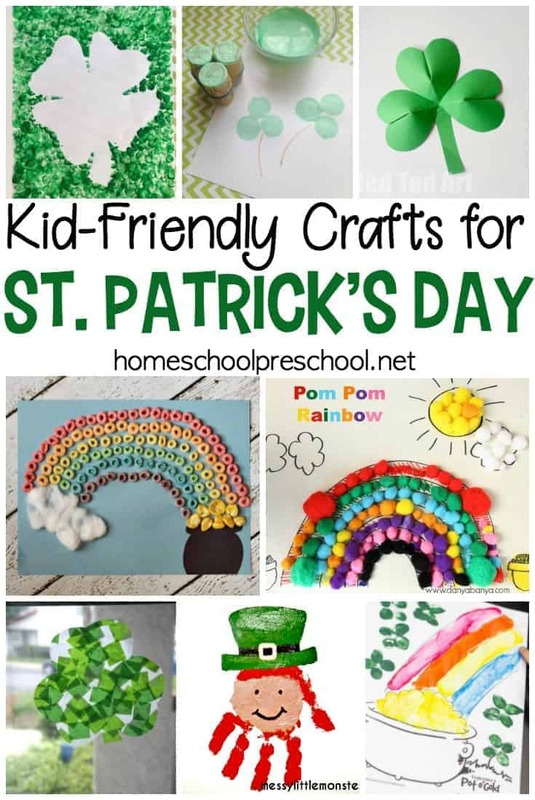 Leprechauns are known to be sneaky little creatures who can be hard to catch, and sometimes they travel with sweet goodies. That means kids have to get creative to catch them. Follow the instructions below, and your kids will be ready to see how good their trap is at catching a leprechaun. 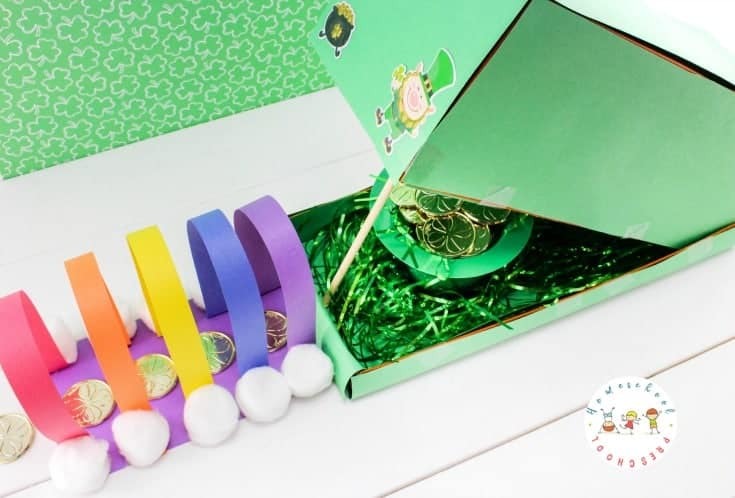 Using supplies you likely already have at home (or can get inexpensively at the dollar store), your kids can build a leprechaun trap of their own. Will they be able to catch a leprechaun this St. Patrick’s Day? 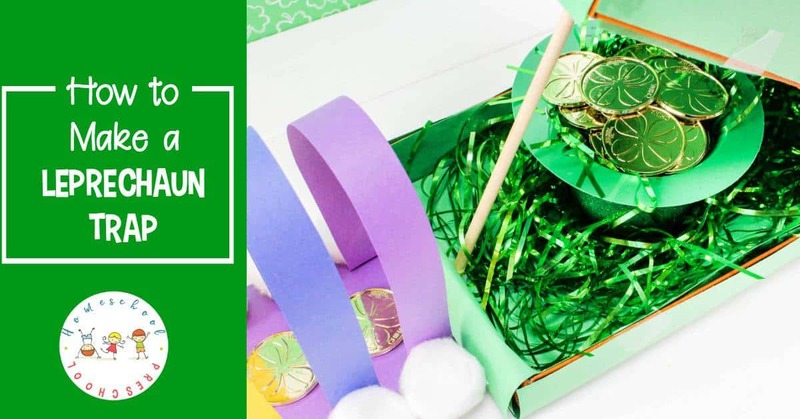 Using green construction paper, cut pieces to fit all sides of the box on the outside and inside. 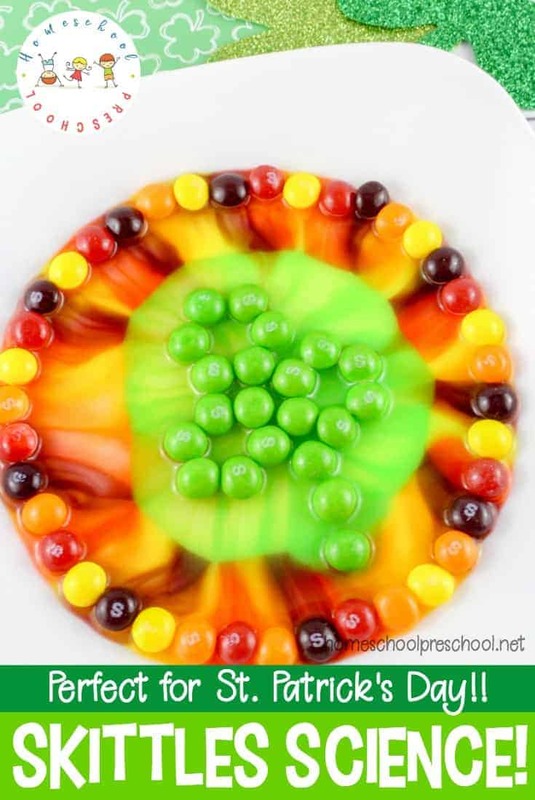 A paper cutter may make this step easier if your preschoolers want to do it themselves. Glue or tape each piece on. 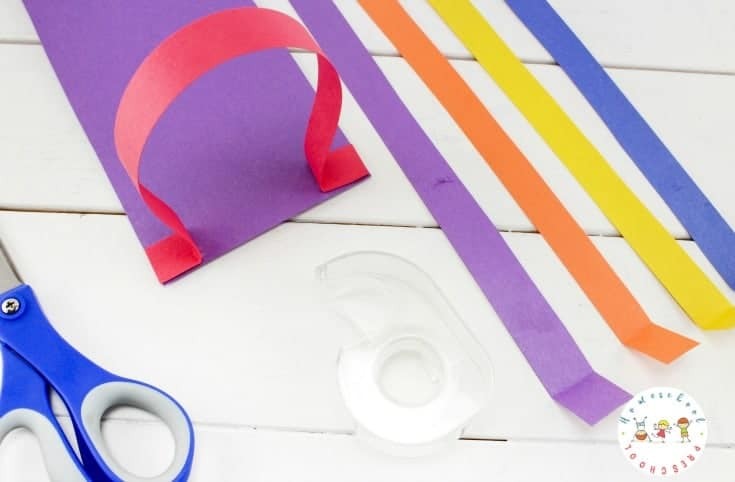 Cut 1” strips of construction paper in colors: Red, Orange, Yellow, Blue, Purple. Cut a sheet of purple construction paper in half. Then, fold each end of the colored strips of paper about an inch under, and tape or glue each end to the purple paper. 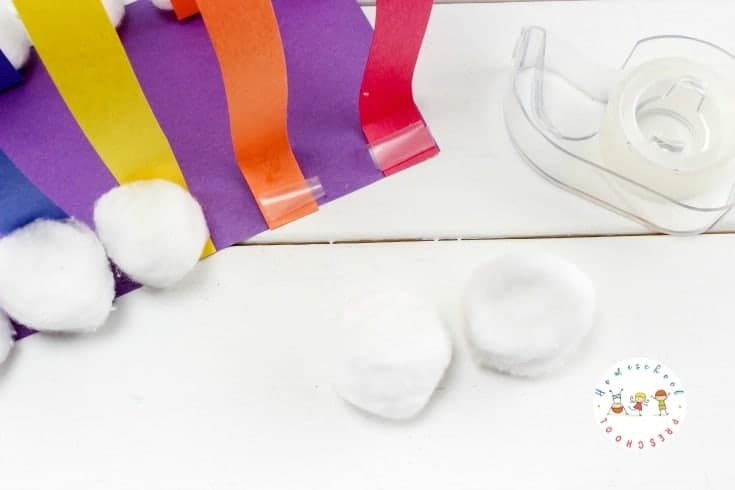 Next tape/glue a cotton ball to each end of the color strips to look like clouds. Put some of the foil shreds inside the hat and put gold coins on top. Place more of the green foil shreds inside the lid, and place the hat inside. 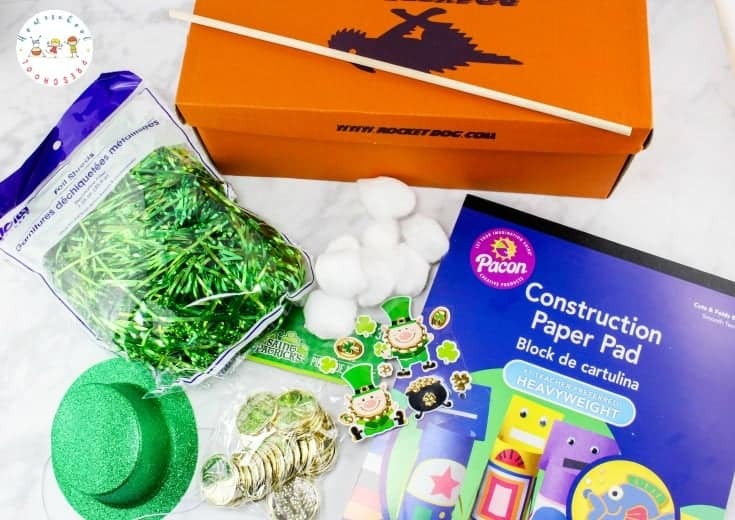 Decorate your box using the St. Patrick’s Day stickers. Prop the bigger part of the box up over the lid and put the dowel rod in place so the box stays propped open. Now just set your rainbow road in front of the box, place some gold coins on it leading to the “trap”, and you’re ready to catch a leprechaun. 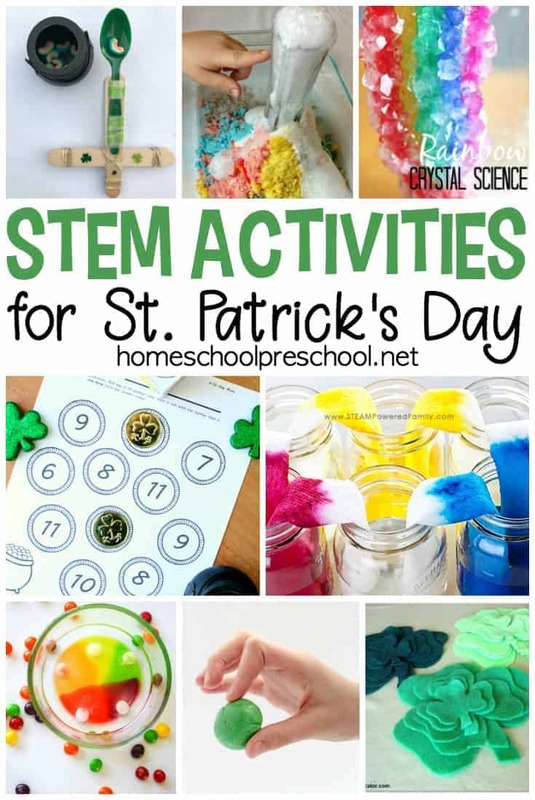 Leave the leprechaun trap where it can be found. If you’re lucky, a leprechaun will visit the night before St. Patrick’s Day! If so, when you’re kids wake up, they’ll find the box closed. 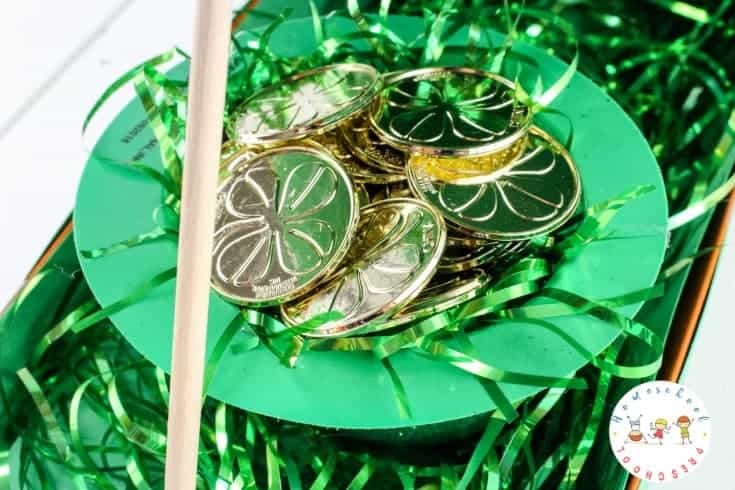 If the leprechaun is lucky enough to get away without being trapped, he may leave behind a little treat! They’re known for leaving chocolate coins and/or Skittles as a surprise.